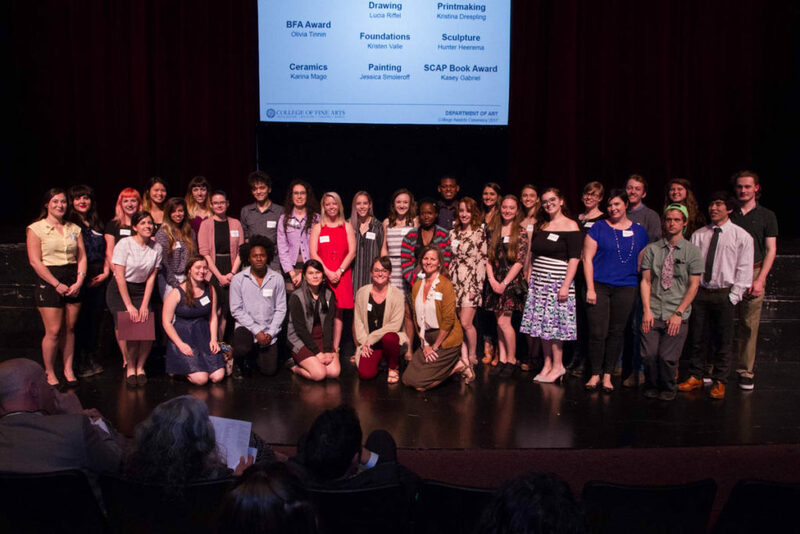 On Wednesday, April 12, 2017, the College of Fine Arts celebrated students who received awards for the excellent work in the arts in 2016-17. Congratulations to the Art award winners! This year US News and World report ranked us as the #1 Fine Arts program in Florida! The students that we awarded are a big part of why our program is so strong. With support from the faculty and the community, we feel they are poised to do great things and the funding behind these awards helps make that happen. Thank you and congratulations also to all of who give funds and work on the department’s behalf to raise funds.